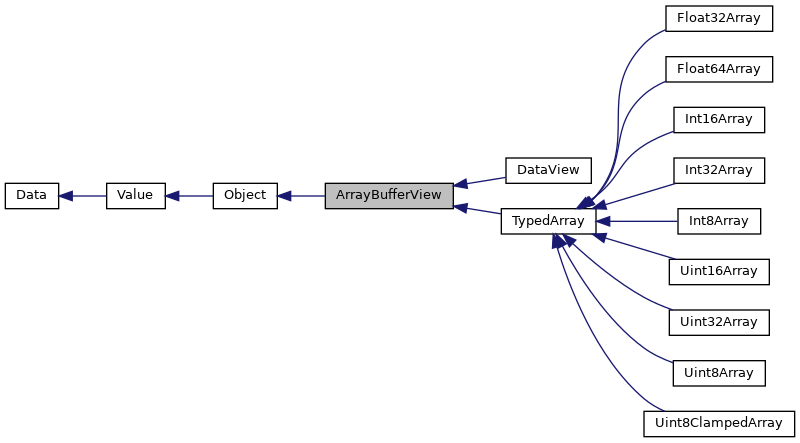 A base class for an instance of one of "views" over ArrayBuffer, including TypedArrays and DataView (ES6 draft 15.13). This API is experimental and may change significantly. Definition at line 2796 of file v8.h. Size of a view in bytes. Definition at line 6453 of file v8.h. Definition at line 2813 of file v8.h.